Owning a camera doesn’t make you a photographer any more than having a pet goldfish makes you a marine biologist. So how do you go from camera owner to photographer, or even professional photographer? Every photographer started out a bit differently. Some started taking photos before the digital photography era. Others took online classes, while others hang fully-fledged degrees from their office walls. Many learn by picking themselves back up after falling flat on their faces and trying again. Me? I got started with a high school mentor who started me off with film and processing in the darkroom. She taught me the importance of taking your time to think through each shot, and that the more pictures you take, the better you’ll get. But not everyone has a mentor to nudge them in the right direction — which is why we’ve mapped out a set of recommended steps to get from camera-owner to photographer with minimal detours along the way. Ready to get more from your camera, challenge yourself, and build a career that allows you to freeze time? 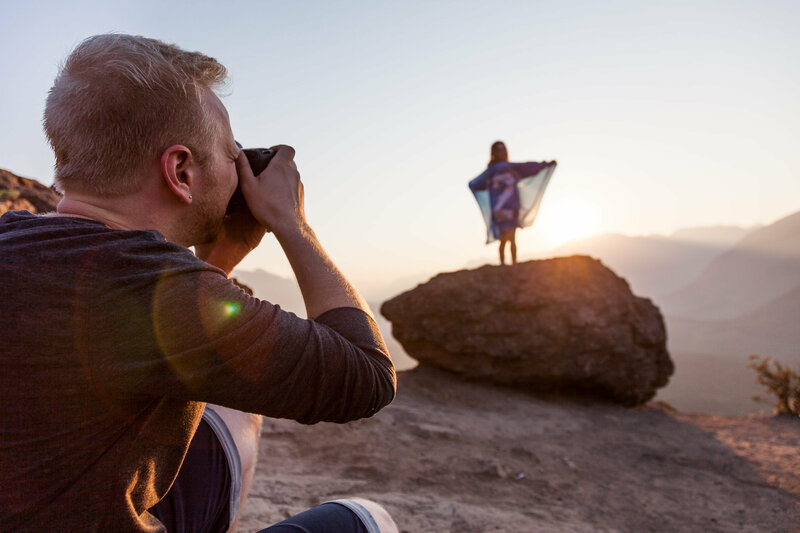 The CreativeLive Guide on How To Become A Photographer will help point you in the right direction with these 12 actionable steps. Mark Twain may have been referring to writing when he said that “the secret of getting ahead is getting started,” but the idea applies to photography too. The camera’s different knobs and buttons can feel downright daunting — the important thing is to just take the first step anyways. Dig out your camera manual and tuck it in your bag for easy reference — or download the PDF version to your phone. Look up some basic terms like composition and exposure. Flip through your old photos (or shots from a photographer you admire) and make a note of what you like and what you hate about each one. 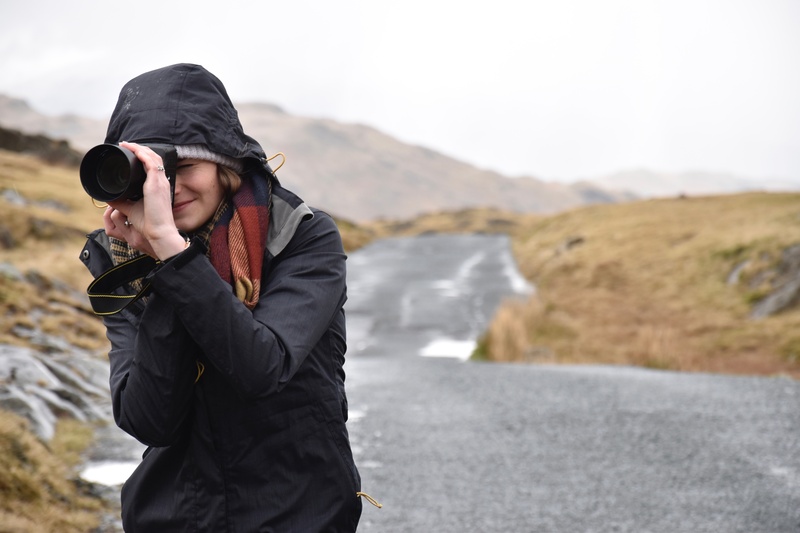 Start following a few photography blogs or sign up for a beginner’s photography course online. Tip: The Photography Starter Kit for Beginners covers the basics from terminology to techniques — building a foundation that’s easy to build on as your skills grow. Big surprise — becoming a photographer involves taking pictures. But you don’t need to wait until you know the difference between shutter speed and aperture camera settings before you start capturing images. You’ll get off auto mode eventually. Even shooting on auto mode can help you practice a few things — like timing, for example, and composition (which is what you leave in and what you leave out of the photo). It is really only through massive amounts of trial and error that you will start to improve, so get going. Tip: As you snap these early pictures, take a look and pinpoint what you like about them, and what you don’t — this will help give you some direction as you continue to grow your skills. 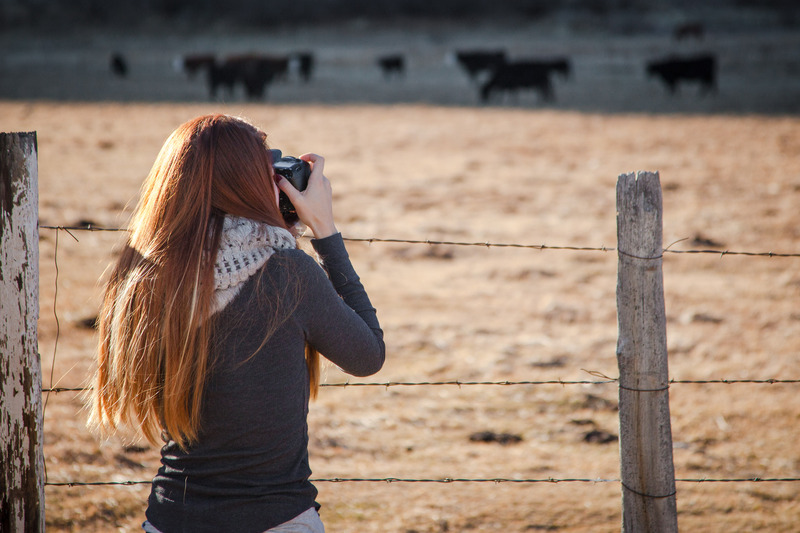 A camera is only as good as the photographer behind it — so how well do you know your camera? What’s the fastest way to adjust the ISO? Does your camera have auto bracketing, double exposure or time lapse features? Dig into the features of your particular camera so that when you need to quickly access a setting, you know where to find it. Along with understanding what and where the features are, it’s a good idea to understand the limits of your gear. Can you shoot with your lens at a wide open aperture and still get a sharp shot? Test your lens by taking a picture of a piece of newspaper or a printout — most lenses have a “sweet spot” that’s sharper than the rest that you may need to use when sharpness is essential. The same concept applies to your camera. For example, how far can you crank up your ISO before the image gets too grainy to use? Knowing the limits of your gear can help you take better pictures, even with an entry-level camera. Tip: To catch on to all your camera’s quirks quickly, try a Camera Fast Start designed for your specific camera model. Auto mode isn’t all bad, but to really become a photographer, you have to master the fundamentals that allow you to get off auto mode and call your own shots. That means learning the three essentials to exposure: shutter speed, aperture and ISO. Each setting effects how light or dark the image is, and how much of your image is in focus. I’m embarrassed to say that when I was just starting out, the extremely important concepts of aperture and depth of field took me a very long time to figure out. Along with exposure, learn the basics of focus techniques and composition. These are the things that allow you to start taking pictures where you have creative control. You don’t need to tackle them all at once, but you do need to master the fundamentals to make that conversion from beginner to photographer. Tip: The Fundamentals of Photography course dives deeper into the basics — exploring those must-haves like exposure, composition and even how to choose the right gear for the job. As you learn new skills — whether that’s through a class, a written tutorial or a mentor — keep shooting and put those skills into practice. Don’t just memorize the definition of aperture, turn your camera to aperture priority mode and take the same image at several different apertures. Then take a look and see how those changes affected the final image. Learning through a class (or tutorial, book or mentor) is great — but putting those skills into practice helps solidify them, turning concepts into actionable knowledge. Tip: Start taking a camera along everywhere you go and start shooting what inspires you. The more you practice, the quicker you’ll make that transition from beginner to photographer. The secret to amazing — not just good — photos? Light. The word photography comes from Greek roots that mean to write with light. Without mastering lighting, you can’t take great pictures. Sure, sometimes you get lucky and happen to shoot a subject that’s already in great light, but to take on clients and become pro, you have to learn how to manipulate light to make your own luck. To master lighting, you need to learn how to shoot in any lighting scenario. How do you shoot with the sun behind the subject and not end up with a silhouette? How do you intentionally using backlighting to create a silhouette? How does the look of side lighting differ from front lighting? Along with learning how to shoot wherever the sun is, learning how to manipulate the light with flash, studio strobes or even a $20 reflector is essential for photographers intent on going pro. How does adjusting the angle of an off-camera flash or studio strobe change the look of a portrait or a product shoot? 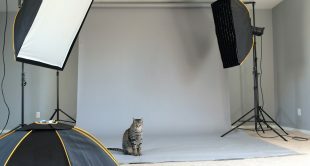 Do you really need a several thousand dollar lighting kit, or will something smaller work for you? By taking a few amazing online photography classes, and with the right tools and skill set, you don’t have to wait until you happen to stumble on great lighting. Tip: Julia Kelleher goes beyond just proper exposure in the course How to Take Amazing Photos — learn light, how to manipulate it and all the other factors that go into bridging that gap from good to great. Just like every photograph needs a focal point, so does every photographer. While experimenting in every avenue is fine, if you want to become pro, you’ll need to narrow down just what type of photography you will offer. From wedding photography to product photography, there are plenty of different paths to choose from. Start with what you love to do — maybe you love shooting sports and have a soft spot for babies and would love to spend your days photographing them. Don’t just base your decision on your interests though. If you live in an area that already has a dozen good portrait photographers but no established real estate photographer, you will likely be able to start building a stronger business from the start if you learn how to photograph architecture instead of faces. Once you narrow down your focus, work to hone the specific skills used in that sub category. Portrait photographers, for example, need to learn the art of posing. Commercial product photographers should be able to light a transparent glass and get the glass to pop without odd reflections. Wedding photographers need to know how to shoot an outdoor ceremony in under a bright noon sun. Tip: While it’s good to specialize, don’t limit yourself too much to something that isn’t going to drive enough income for a stable career. Some wedding photographers also shoot portraits, for example. Photo editing can often be considered an art in itself — while some of the terminology is the same, operating a camera and running Photoshop are two different beasts. Learn how to adjust your photographs after you’ve shot them — Photoshop and Lightroom are two of the most popular tools for photo editing, but they take some time to learn. Start diving into the basics and then the advanced how-tos to learn how to enhance your photographs in post. 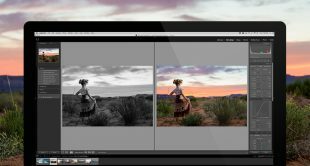 The good news is that one of our favorite software instructors, Jared Platt teaches Adobe Lightroom CC for beginners. Sign up now and develop your Adobe skills. Tip: Find your own style — just like photographers have individual shooting styles, editing styles apply too. Find out what you are drawn to and what suits your specialty best — a minimal approach, dramatic flair or somewhere in between? Now that you’ve got the basics and even a few more advanced techniques down, it’s time to put on some thick skin and seek out feedback. Every photographer learns and grows at different rates in different areas — having a trained eye look at your images allows you to discover what to improve next. Find someone who’s not afraid to speak their mind and that knows a bit about photography. Ask your mentor, find an online photography group, enter image contests or seek out social media feedback. Don’t get discouraged if there’s a lot of negatives — picking out what needs improvement can be an emotionally tough task, but it’s essential to finding out where to go next. Just remember where you started from, make a list of things to improve and keep shooting. Tip: Learn to separate technical tips from opinions — some art may resonate with different people. If a photo makes someone sad and that was the mood you were going for — that’s not bad feedback. Which came first, the gig or the portfolio? Photography’s equivalent to the chicken and egg question points out a common question budding professionals have: How did I get my first gig without a portfolio? And how do I build a portfolio without a gig? Those practice photos and feedback photos are a start — but you may need to continue to build your portfolio by staging a shoot or offering a discounted session to a friend. Then, put together your best shots and find them a home online with one of the many websites for photographers to make your photographs easy for potential clients to find. Then, work to expand your exposure. Use social media to share your work and spread the word about your new business. Tackling social media is a learning process in itself — so don’t be afraid to brush and SEO for photographers up on some basic social media skills with a course or tutorials. Tip: Rather than trying all the social media platforms at once and only doing a mediocre job, pick a platform to concentrate most of your efforts on. Having one strong platform is better than having several weak ones. 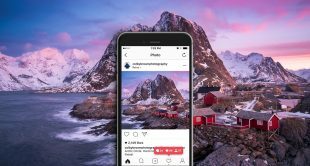 Be sure and check out Colby Brown’s upcoming class on Developing a Social Media Strategy for Photographers and start really growing your audience! Most professional photographers are driven by a passion for photography — but shooting as a pro means business skills are a necessity too. Building solid photography skills is the first step, developing a business strategy is the next so that you can actually make money from your photography. Take a look at that portfolio and try to find a common thread — are the images photojournalistic, dramatic or another style? Considering your work, develop a brand identity for your business. Learning business skills, like photography skills, takes some time. Learn how to set your own prices. Research effective forms of inexpensive advertising. Tip: A photography business strategy is a bit different from the strategy of, say, a retailer. 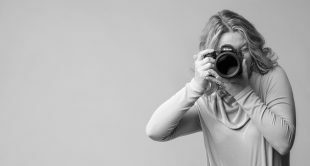 Seek out business advice that’s specific to photography, like a class on the essentials of running a photography business. Photography is a continuous learning process — even well-established professionals find new ways to challenge themselves. 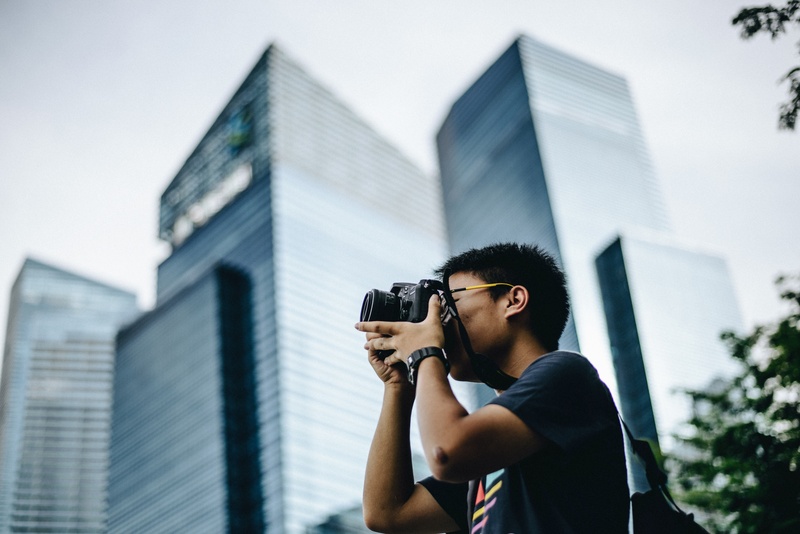 Whether it’s growing through new business skills or embarking on unique photography projects, continue looking for ways to fine-tune your skills. Sometimes, when photography becomes your job, that initial fire that sparked the journey fades a little — personal photography projects are great ways to reignite that fire. Learning how to become a photographer is a journey full of discovery — and fraught with many different pitfalls and detours. Ready to embark on that journey? Follow CreativeLive for more tips along the way.